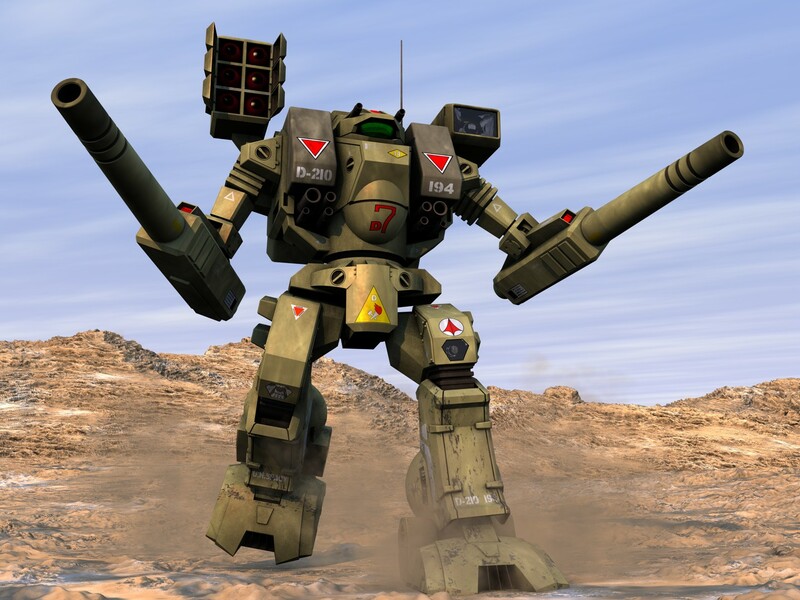 The Destroids were the non-transformable second line mecha mainly used in defence of the SDF-1. Here a Tomahawk patrols the wastelands in search of Zentradei malcontents. Also known as the Excaliber in the US release of Macross under the Robotech title.